ARA has significant experience and expertise in creating submission quality deliverables in CDISC format. ARA utilizes the standards that span the whole of the clinical trial process, from protocol design through to analysis and reporting of the data, and employs streamlined processes to ensure efficient creation and validation of deliverables. 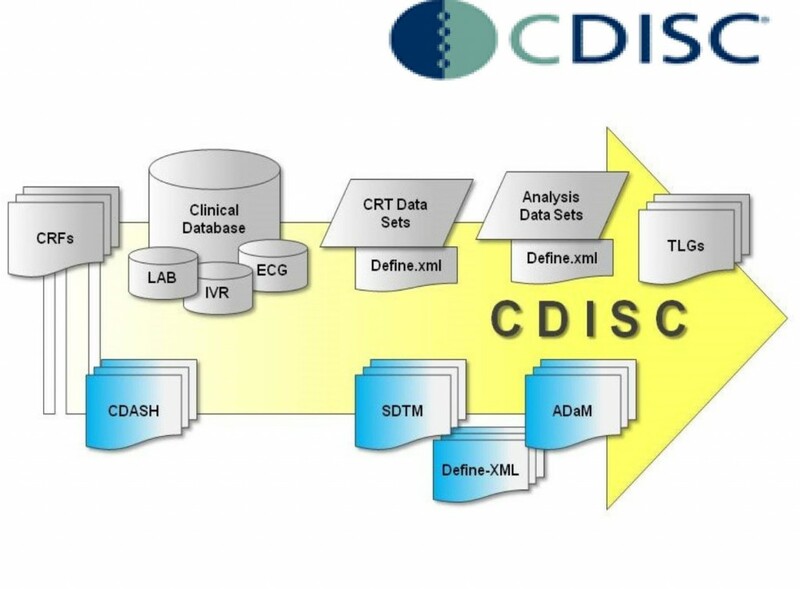 CDISC standards applied at each stage of the clinical trial process include CDASH for CRF and database design, SDTM for the CRT data sets, ADaM for the analysis data sets, and Define XML v2.0 for the define.xml document(s). ARA utilizes a specification, or metadata1 driven approach to the implementation of CDISC standards. Specifications detail the exact structure and content of each submission data set, and are used to drive the creation and validation of the deliverables. This systemized approach facilitates automation and efficiencies. SDTM and ADaM data sets are programmed according to the associated specifications, and validated against a series of electronic integrity checks to ensure compliance to the models. Additional QC includes independent verification of results. The define.xml file(s) are created using both the specification and the source data sets. The automated process provides efficiency and accuracy in producing the document, which then undergoes manual verification to ensure it’s proper function. CRFs are annotated according to the Metadata Submission Guidelines, an appendix to the SDTM IG. Each unique CRF field is annotated with its associated SDTM variable name, essentially “mapping” the CRF data to the model. 1The creation and validation process is driven by populating data repositories with the appropriate metadata to create and/or validate the various deliverables. For further details, contact: Pete Shabe (650) 810-1190 x13 or Robert Stemplinger (650) 810-1190 x28. We worked with ARA on several Phase 2 studies and had overall a very positive experience. Pete, Annie and the ARA team are highly professional, competent and flexible, always able to adjust to the rapidly changing needs of a small biotech client. ARA provides innovative and customizable biostatistical and data management services to the pharmaceutical, biotech, and medical device industries.